What's more embarrassing than a white moustache? Ripping a ripe one at the in-laws. These Lites provide an alternative to sinking into the ground forever. 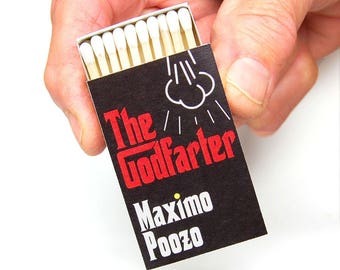 While paying tribute to a classic ad campaign, these matches also provide a practical solution to a universal problem. Great product! Simple, funny, and practical. 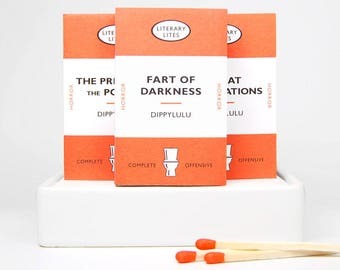 Theater lover gag gift stocking stuffer fart matchboxes -- Broadway Lites. Stocking stuffer novelty gag gift. Bathroom toilet spray deodorizer. Secret Santa, gift exchange, holiday hostess gift!